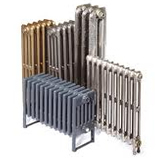 Ottinetti Radiator Valves are an extremely high quality brand of designer radiator valves especially suited to traditional cast iron radiators. These exceptional valves are designed and made in Italy using tried and tested traditional techniques. These designer valves come with a 7 Year guarantee.